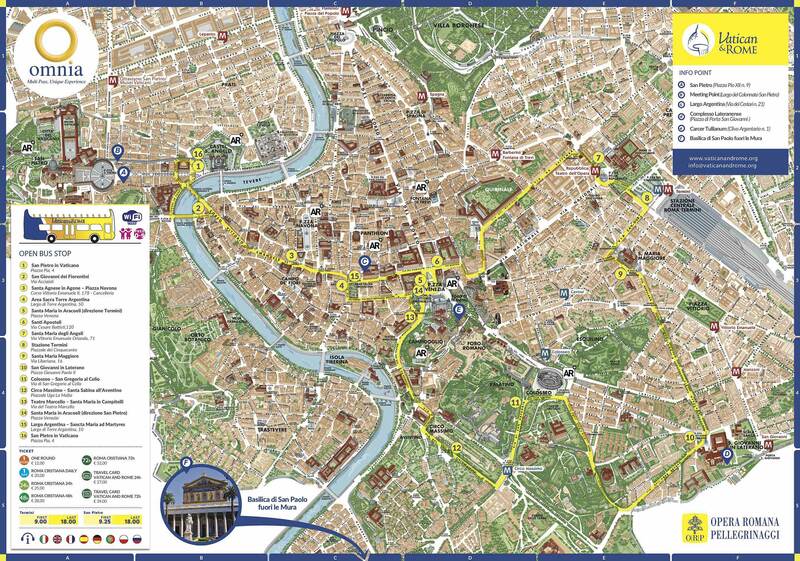 Hop on the bus and let us take you on a panoramic tour of Rome! All you have to do is sit and watch the Eternal City unfold before your eyes for one-of-a-kind sightseeing experience. This Roma Cristiana ticket entitles you to one full panoramic tour, allowing you to only board once at either the St. Peter's or Termini bus stop. First departure: 09:00 am (Termini Station), 09:30 am (St. Peter basilica). Last departure: 06:00 pm (Termini Station), 06:00 pm (St. Peter basilica). Exchange the voucher O.R.P. – Piazza Pio XII, 9 – Close to St. Peter’s Square. Open from Monday to Sunday from 09:00 to 18:00 hrs.